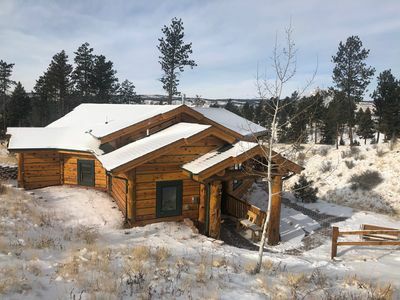 This 4 bedroom mountain home sits on 2.8 acres and is nestled among the pine and aspen trees - perfect for family gatherings, relaxation, and viewing wildlife. 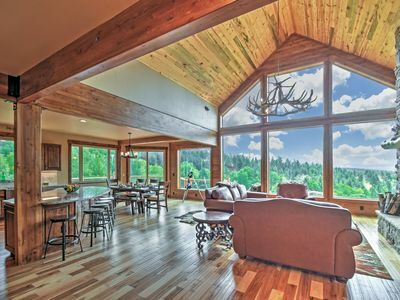 The main level captures the beautiful nature of Colorado with it's towering wall of windows, which bring the Colorado scenery into your home. 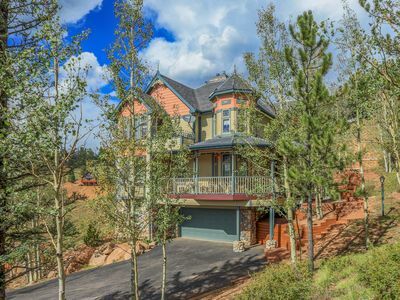 The house has phenomenal views of the 14,000 foot Pikes Peak. The great room upstairs has an open floor plan with a combined kitchen, dining area, and living room. The kitchen is fully equipped with everything needed to cook for a large party. 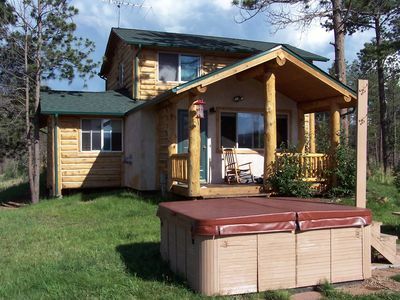 The kitchen has an indoor grill, there is also a propane grill on the deck. 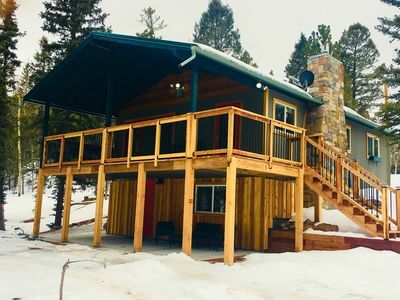 Outside is a picturesque deck complete with patio furniture. 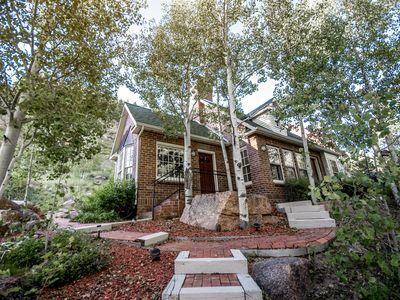 The deck is the perfect place to spend the day relaxing, reading, visiting, or simply enjoying the gorgeous blue Colorado skies. 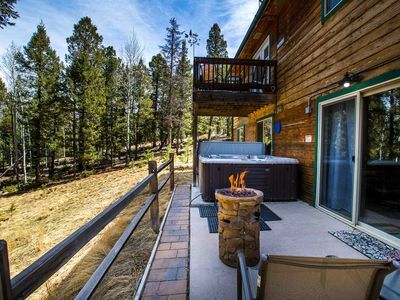 Wildlife sightings from the deck regularly include deer, fox, chipmunks, curious squirrels, the Colorado black squirrel and dozens of species of birds such as stellar jays, hummingbirds, woodpeckers, and many other songbirds. 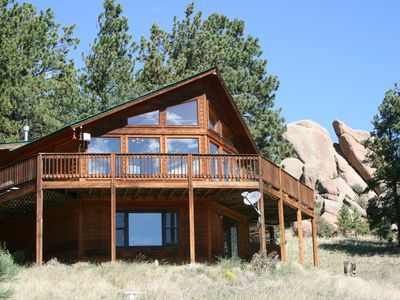 Complete your day relaxing on the deck while gazing on the brilliance of Colorado's starry sky. Entertainment: the upstairs and downstairs living rooms both have large screen TV's. The upstairs master bedroom also has a large TV. Wireless internet is included. 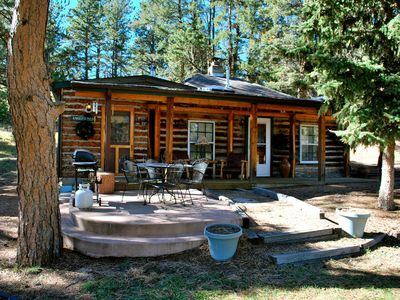 Ample sleeping accommodations for up to 10 Guests with 4 bedrooms and 2 full bath rooms. The spacious master bedroom is located on the upper level with a king bed. The lower level has 3 bedrooms. 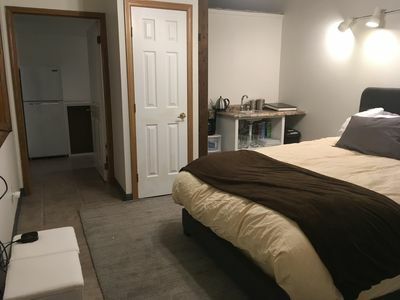 One bedroom has a king bed and the other has a queen bed. The last bedroom has 2 full bunk beds. 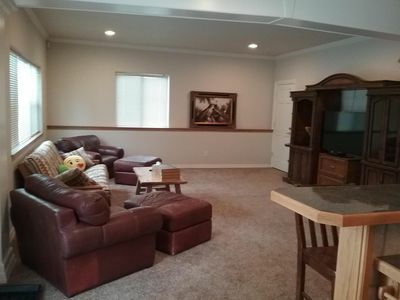 Additionally, the lower level includes a family room with a sleeper sofa. 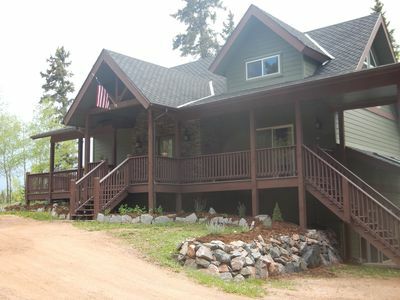 The house has 2 full bathrooms, one on each level. The bathroom on the main level has a whirlpool bathtub with jets. 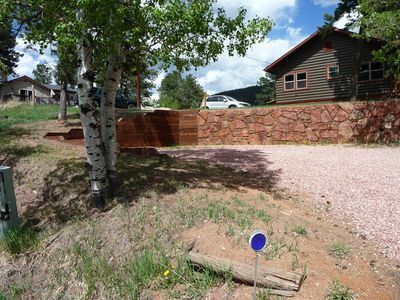 This private home is located 2 miles from Florissant, 6.5 miles from Divide, and 14 miles from Woodland Park. Florissant has a gas station, Subway, Ace Hardware, and a convenience store that sells fishing/hunting licenses. Divide has a grocery store, gas station, a drive-thru liquor store, and a couple of restaurants. Woodland Park is a larger town with a wide variety of stores, shops, and restaurants. 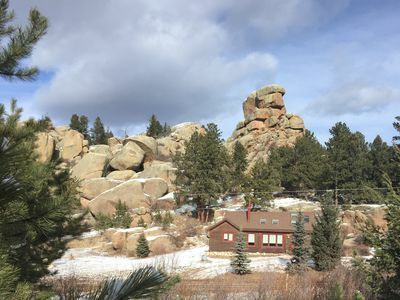 There are also many hiking options available a short drive away whether you are looking for a leisurely stroll near mountain streams or a challenging hike up a 14,000 foot mountain. 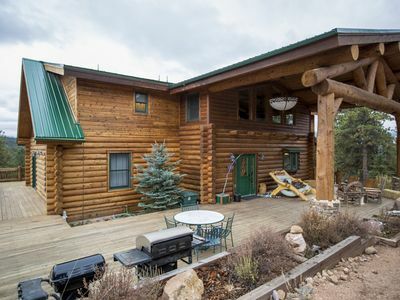 Colorado Springs: Garden of the Gods, Cheyenne Mountain Zoo, Seven Falls, Air Force Academy, Museums, US Olympic training center, multiple hiking and mountain biking trails. Manitou Springs: Pikes Peak, Cog Railway, Cave of the Winds, Cliff Dwellings. 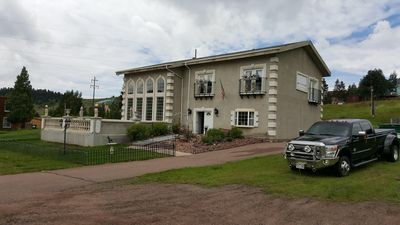 Cripple Creek: Historic Mining Town and Gambling, Molly Kathleen Mine, Mueller State Park with miles of hiking, fabulous fall color in September and October. 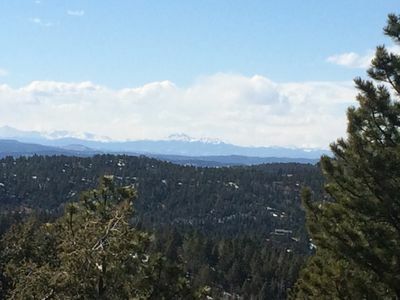 Canon City: Royal Gorge and Arkansas River. 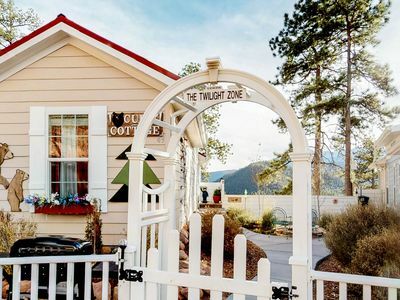 Buena Vista: Arkansas River, Rafting, Fishing, Hot Springs, St. Elmo Ghost Town. 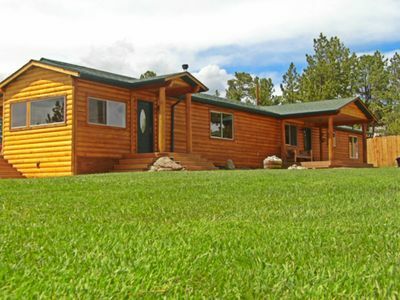 Woodland Park: Rampart Resevoir, Dinosaur Museum, North Pole Amusement Park, hiking, fishing, camping. 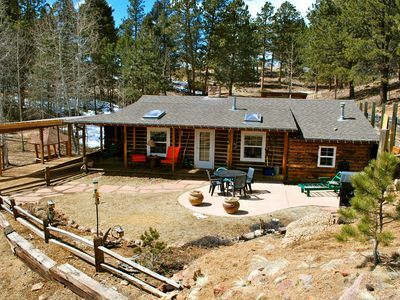 Cozy Studio w/Kitchenette Walking Distance To Downtown Views of Pikes Peak! 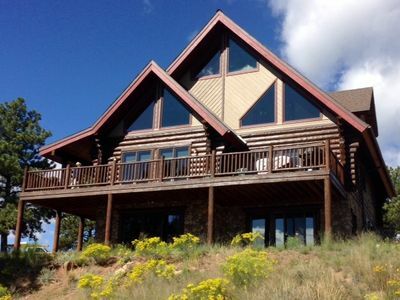 Beautiful and peaceful Cabin on 35 Acres!